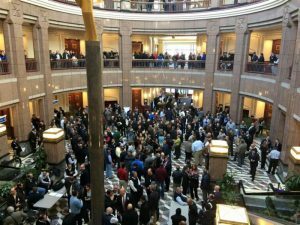 Lobby Day 2018 at the Capitol Building in Hartford. Stay tuned for Lobby Day 2019! Lobbying often gets a bad rap, and it’s understandable why. 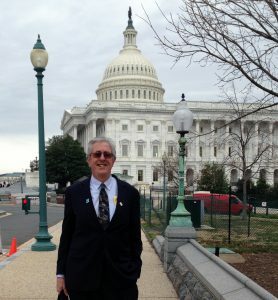 Yes, there are highly-paid industry lobbyists that spend their days camped out behind velvet ropes in Hartford or Washington waiting to catch a word as legislators whisk by the gauntlet of suits, as well as “white hat” lobbyists advocating on behalf of a good cause or organization. But there is another, even more powerful, set of lobbyists you’ve probably never imagined—regular people with busy lives who want healthy land, air, and water…YOU. Advocating for a cause we believe in is something most of us will do at some point in our lives, whether it’s via social media, email, phone calls, or in person. 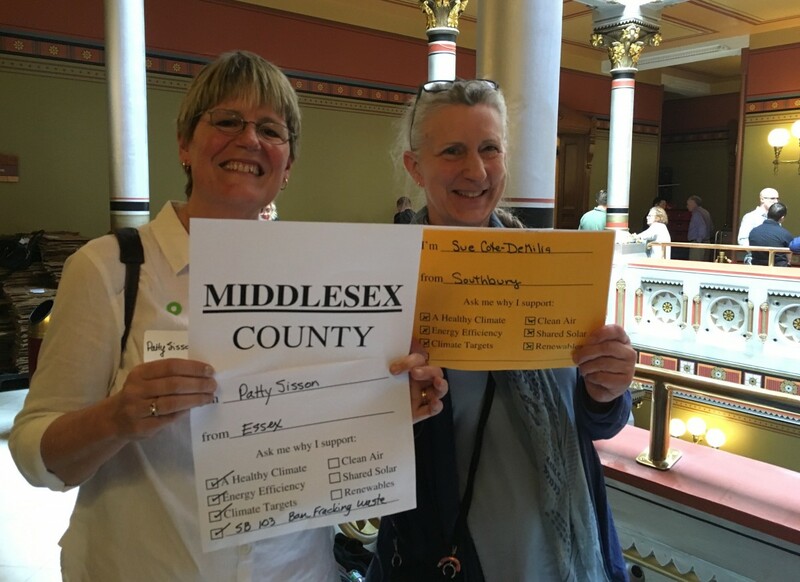 Women’s suffrage, civil rights, environmental protection laws…none of these victories would have been possible without advocacy and communication with lawmakers in addition to more public forms of assembly and petition. At CFE/Save the Sound, we spend a lot of time connecting people like you with public officials and agencies who create the policies to keep your environment healthy and sustainable. We do this because it works. Many of these environmental laws are only possible with your help. This is citizen activism at its finest—lobbying, or petitioning the government for a redress of your grievances. This process is actually a two-way street: you want your officials to hear you, and elected officials rely on active, knowledgeable citizens like you. Your lobbying keeps them in touch with important issues, brings first-hand experience they wouldn’t otherwise hear, and ensures they’re getting both sides of a story. Without your voice and direction, who knows what our lawmakers would do—after all, if you don’t lobby for what you want, someone else is lobbying AGAINST what you want! CFE/Save the Sound President Curt Johnson lobbying for Long Island Sound in D.C.
Each legislator is extremely busy juggling multiple committees and duties, and each has their favorite method of connecting with constituents. Some like phone calls, others use Twitter or Facebook, and nearly all use email. The best way to get your message across is to use all of the above. Studies show the more times you contact a legislator, and with varying methods, the more likely they will listen. Tip: the more personal the contact method, the more effective it is. In person: Set up a meeting with your senator or representative by calling/emailing their office. You can also go with a small group (3-4 people, not a mob). Practice what you will say, and aim for a straightforward, respectful, collaborative approach. You must get your points across within a few minutes—if your legislator wants to talk longer, then you can expand on your issue. Leave a one-pager with the key information you just told your legislator and your contact info, and thank them for their time. Tip: You might feel a bit nervous speaking with your legislators but keep in mind they’re people too! Many are busy with volunteer work, families, and another job outside their role as legislator. Phone: Make a good ol’ fashioned phone call. You will most likely get an aide or voicemail—identify yourself with name and town, concisely state your reason for calling or your position on a particular bill (make sure you have the bill number handy), and ask for their support. Written Letter: Break out that pen and paper. Your legislators know that behind every person who writes a letter, there are many more who share your views but don’t make the extra effort to write. As with most lobbying efforts, be personal but concise. Busy legislators often skim letters, so put the important information, like bill numbers, in the first sentence or two. Ask for a response with his/her position. Extra credit: If applicable, ask your kids to draw a picture for their legislator. Email: Many legislators have an aide respond to emails since they are often very busy during the session and can’t get to everyone personally. Include your name and contact information. Write your issue/position with bill number in the subject line so they get the message even without reading or opening the email. If you have a couple links or attachments to support your position, include them. Social Media: Facebook and Twitter are great ways to connect with your lawmakers in a public forum. The key is to be respectful, truthful, and factual. Warning: Ignore the trolls. It’s sometimes hard, but don’t get into arguments with others on your legislators’ social media accounts. This will only weaken your position and irritates legislators. Legislative Office Building where legislators attend committee meetings and public speak up at hearings. Legislators have information thrown at them all day long, and a lot of it ends up in the recycling bin. Here’s how to be a sharp, effective, and remembered advocate. Be informed: Make sure you’re signed up to get CFE/Save the Sound email alerts on what you care about most. From wildlife and clean water, to healthy air and electric vehicles, we’ll let you know of critical legislation as it happens and walk you through the process of writing testimony for bills or a letter to the editor. Click here to update your preferences or sign up for our email action network. Aides: Get to know the staff of your legislators. 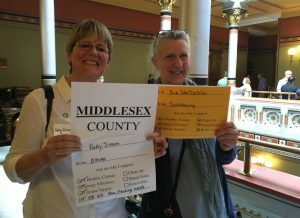 In Connecticut, legislators share aides, so cultivating a respectful relationship with them can often mean you might reach more than one legislator with your advocacy. Aides can be powerful advocates and do a lot of work behind the scenes. Follow up: After your initial contact, make sure you follow up with a thank-you or a friendly reminder about the issue. Remember, the more times you contact a legislator, the more likely they will listen. Give thanks: We all love to feel validated and helpful. Give your legislators a pat on the back and commend them for a job well done when they vote, do the right thing, or at least tried. Thank-yous are rare in government but very effective. Send them a note, thank their aide, write a letter to the editor, and/or give them a social media shout out—public thanks are always especially appreciated! Start today: Click here to find your legislators and get their contact information. Or, take five minutes and jump into lobbying right away with the first action alert of the session. It tells Governor Lamont and your legislators to protect the energy efficiency funds that save you money and clean the air you breathe. If you follow these suggestions, you will be successful shaping government to work for the people. 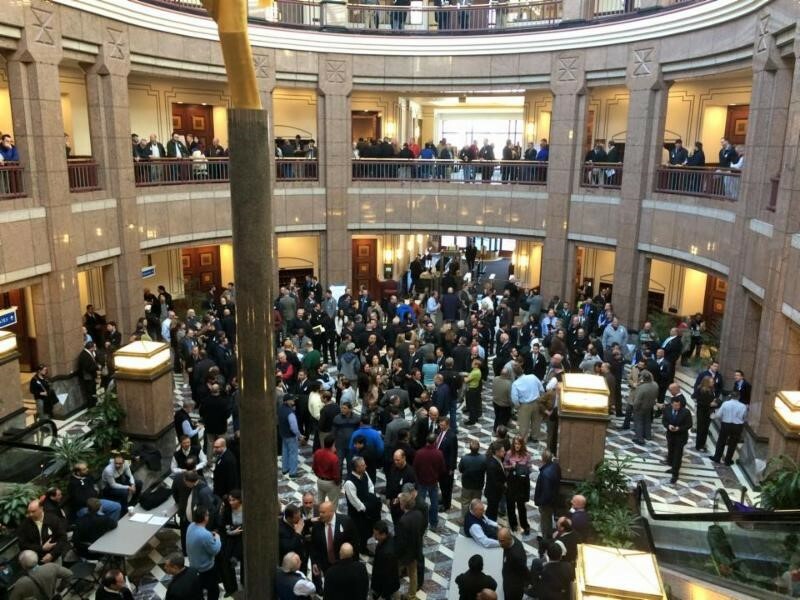 To learn more about Connecticut’s legislature, check out our Legislation 101 blog post here. Share this with a friend and encourage others to become citizen lobbyists too!